The Zpacks Hexamid Twin (Hexamid) is a ultra-light sub 13 oz “fully enclosed” singled-wall tent or 18 oz with the cuben bath tub floor. Zpacks uses .51 cuben fiber and a nano-noseum door and floor to ease construction. The Hexamid is the only production tent on the US market that uses a noseum floor. Zpacks claims that it is plenty durable for trail use. Our Hexamid was purchased specifically to be used for solo and two person trips without the dog. Our Hexamid is not the current storm doors model. Instead, it is the 2013-2014, bonded model with the roll-down beak. By far, this is one of the most beautiful tent designs on the market. Pros: Light, free standing, pop-up vent hole, seam sealed. Cons: Small vestibule, shorter than competition, pointed roof, very little pocket storage, feels smaller than competitor. After coming home from a multi-day backpacking trip, sometimes the last thing we want to do is unpack and cleanup our gear. The only thing that gets us going is knowing we can prolong the usage of our camping equipment by taking good care of it. Here’s a few tips we’ve learned from our trips to help extend the lifetime of your camping equipment. 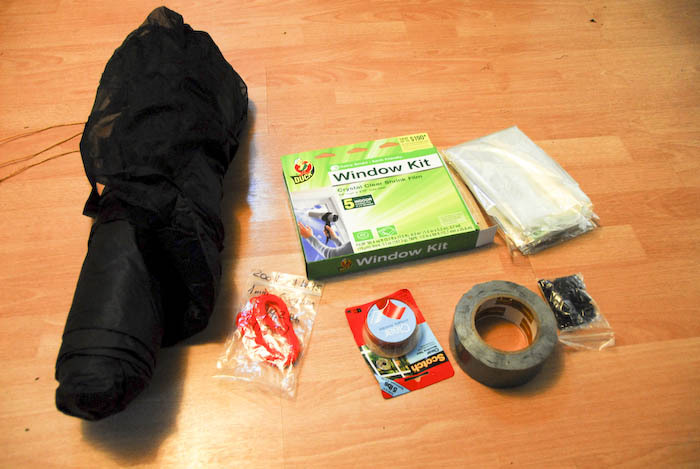 Pull your sleeping bag out of the compression sack to air out. Store the sleeping bag in a storage sack (they are much larger than the compression sack). Sleeping bags will deform if you leave it compressed in your stuff sack and the filling material will be displaced, leaving it lumpy. Before you unpack the tent for the hike back, make sure to tip the tent upside down to clean out any debris left inside the tent. This is an important step for us because Dakota usually pulls in a lot more dirt with her paws. 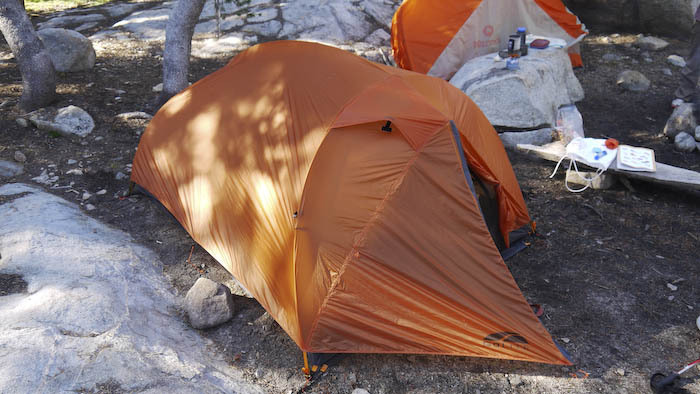 Once home, make sure to pull out the tent to air out, it can be miserable sleeping in a stinky tent next time around. If you have a camel pack for water storage, make sure to empty out any remaining water from the sack. We disinfect the camel pack every couple of months with a couple drops of chlorine beach mixed with tap water. Tip the water sack upside down, using gravity, rinse out the hoses and mouth piece with the water bleach mixture. To avoid mold buildup, disconnect the hose and hang the pack outside to dry. Backwash and sterilize the water purifier. This does not need to be done after every backpacking trip, however, backwashing the water purifier is important to clean out the filter cartridge. We have a First Need XL water purifer but every filter is different and the filtration volume per cartridge filter varies. One easy way to tell when your cartridge filter is dirty is the amount of effort you are putting into pumping water. If there is a lot of resistance during pumping or only small amounts of water is being treated through the filter, it is a good indication the filter needs to be backwashed.